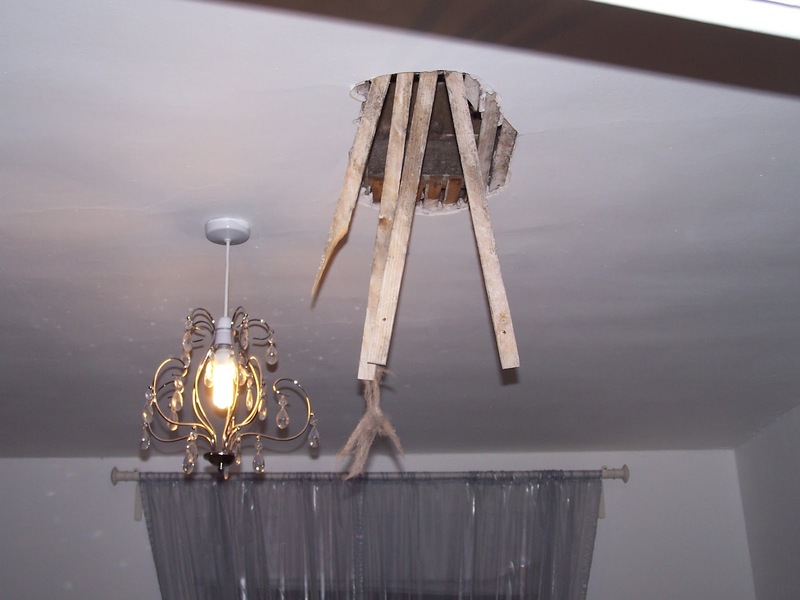 Two small boys, a husband and a renovation project: What Can I Do To Help? This weekend was the first ‘summer’ we’ve seen for a while so I got out the lawnmower and waged war on the lawn. It was a bit on the humid side so I stopped once I reached the limit of the short extension lead, fully intending to go in and relax with a glass of wine. However, in the meantime, I spotted PM heading upstairs so I was guilted into asking ‘what can I do to help?’ I was immediately recruited to assist with completing the floor. We proceeded to lift the mdf boards to lay them back down with glue and nails in place. It was all going swimmingly with our well-oiled team spirit coming to the fore – me glueing and PM following behind with the screws. And then…I lost my balance. Bent double, glue-gun in hand and balanced on two of the joists, it all went pear-shaped in a flash. My foot went down into the soft, fluffy, insulation between the joists – and just kept going. Right. Through. The. Bedroom. Ceiling. PM grabbed my arm and I threw myself forward at the same time so I didn’t fall entirely through the ceiling. I burst into tears. PM thought I was hurt. I blubbed and tried to laugh and talk. PM still thought I was hurt. 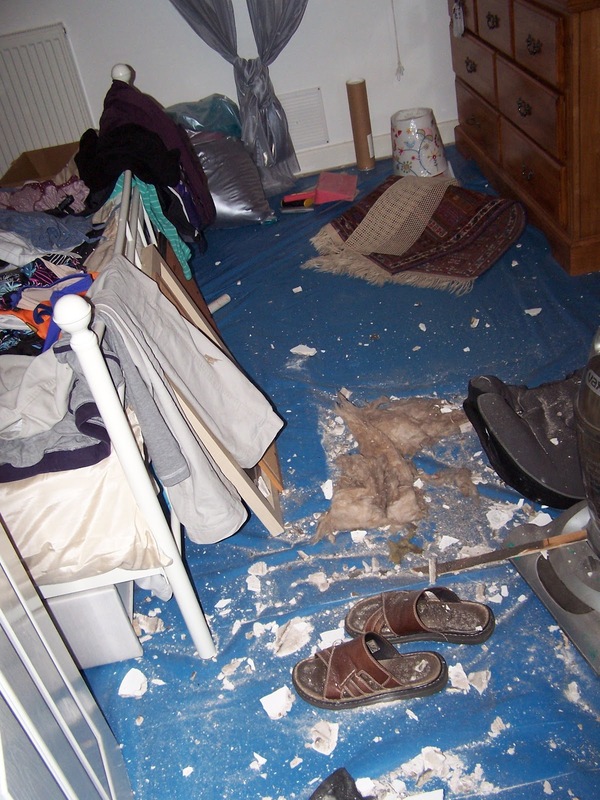 Eventually I managed to say that I was OK but I had just fallen through the roof that he had plastered and I’d ruined everything and there was clean washing on the bed and oh my god what about the mess and, yes, I am OK! PM was so glad that I wasn’t seriously hurt that he just laughed! A whole day later he is still smirking at me – the fact that he can gloat for years to come that I was the one that fell through the roof. And, just incase he forgets to take the mickey any day, there will be a big croc-shaped patch on the bedroom ceiling right in my line of sight as I go to sleep every night!